The University Grants Commission (UGC) has been providing financial assistance to Universities and Colleges for conducting special classes outside the regular time table. It has informed that in order to enable students belonging to Scheduled Castes(SCs)/Scheduled Tribes(STs)/Other Backward Classes (Non-creamy layer)/Minority communities, to come up to the level necessary for pursuing higher studies efficiently and to reduce their failure and drop-out rate remedial coaching is provided to them. Such assistance is provided under the UGC Coaching Schemes for SC/ST/OBC (Non-Creamy Layer) & Minority Students for Universities and Colleges. Financial assistance of Rs. 5 Lakhs, for non-recurring items, as one time grant and Rs. 7 Lakhs per annum, for recurring items, is provided to Universities under the scheme. Colleges are eligible to receive Rs. 5 Lakhs, for non-recurring items, as one time grant and Rs. 2 Lakhs per annum, for recurring items, under the scheme. The details of these Schemes are available at http://www.ugc.ac.in/pdfnews/1910509_Guidelines-for-Coaching-Schemes-university.pdf and http://www.ugc.ac.in/pdfnews/2722093_Guidelines-for-Coaching-Schemes-college.pdf respectively. 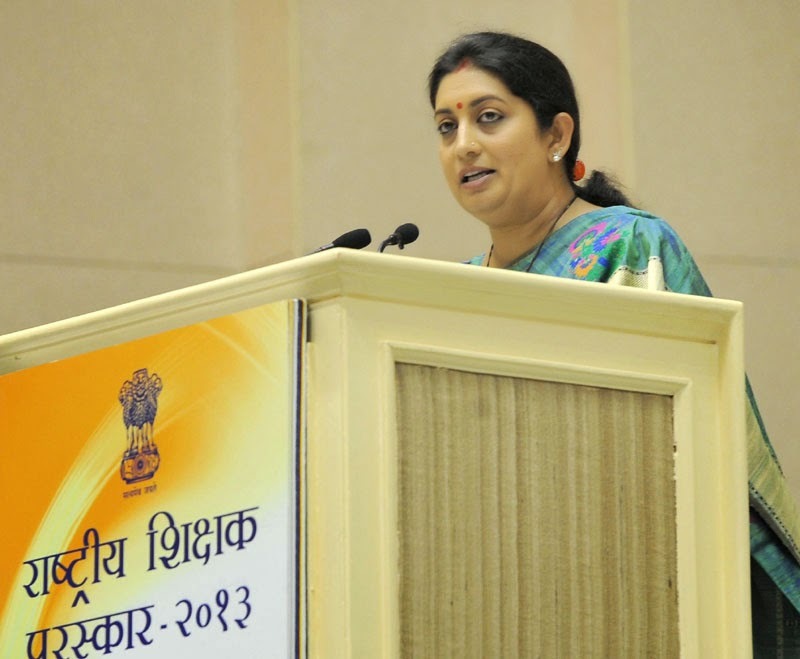 During the year 2012-13, the UGC has released a grant of Rs.73.24 Crores to 4254 Colleges under these schemes. As per the guidelines, each University/College is required to maintain attendance registers for all candidates enrolled for coaching classes as well as subject wise result of tests and other evaluation. The Coordinators of the programme in the concerned Higher Educational Institutions maintain the appraisal report of the implementation of these schemes and the UGC has constituted a Standing Committee to review their implementation. Under Sarva Shiksha Abhiyan (SSA), States and UT’s are assisted to enrol children with special needs (CWSN) in schools, through early identification, assessment camps, distribution of aids & appliances, appropriate teaching learning equipments, training of teachers in inclusive strategies, barrier free school infrastructure as well as home based learning methods. As per Unified District Information System for Education (UDISE) 2013-14, 25.03 lakh CWSN are enrolled in schools which included 10.71 lakh girls with special needs. 2.06 lakh CWSN including 91318 girls with severe profound disabilities are being covered under home based education. Besides, 6887 girls with special needs are covered through Kasturba Gandhi Balika Vidyalayas in educationally backward blocks. At the secondary level, CWSN are provided assistance under the Inclusive Education for Disabled at Secondary Stage (IEDSS) component of the Rashtriya Madhyamik Shiksha Abhiyan (RMSA). Girls with disabilities, in addition to availing facilities under other scheme components for girls’ education, are given an additional stipend @200 per month per girl child at the secondary level. The Government has also introduced the Saksham Scholarship Scheme to provide encouragement and support to 1000 differently abled students to persue technical education in a year. All schemes for school education development include training modules for gender sensitization and inclusive education as part of the annual refresher training of inservice teachers. In addition, specialized training to handle teaching learning practices with children of different types of disabilities are also undertaken. The University Grants Commission (UGC) has framed guidelines for adoption of Choice-Based Credit System (CBCS) for all undergraduate and postgraduate level degree, diploma and certificate programmes under the credit system awarded by Central, State and Deemed to be Universities. The details of the guidelines are available at http://www.ugc.ac.in/pdfnews/9555132_Guidelines.pdf . The CBCS will enable students to take courses of their choice, learn at their own pace, undergo additional courses and acquire more than the required credits, and adopt an interdisciplinary approach to learning. The CBCS guidelines also provide for standardized Letter Grades, corresponding Grade Points, uniform method for calculation of Semester Grade Point Average (SGPA) and Cumulative Grade Point Average (CGPA) and a consolidated Transcript Format to indicate a student’s performance in each semester. The grading system is considered to be better than the conventional marks system and hence it has been followed in the top institutions in India and abroad. Adoption of grading system will facilitate seamless mobility of students across the institutions within and across countries and also enable employers to assess the performance of students. The UGC has circulated these guidelines to the Vice-Chancellors of all universities and requested them to introduce this system from the academic year 2015-16. The details of adoption of the guidelines are not centrally maintained in the UGC. The UGC has indicated in the guidelines that it is desirable that Higher Educational Institutions move to CBCS and implement the grading system. Contents about various aspects of the North Eastern Region have been included in the textbooks of Social Science such as History, Geography and Political Science published by National Council of Educational Research & Training (NCERT) viz History classes – VII, IX, X and XII, Geography classes: VI to XII, Political Science classes: VI, VIII to XII. The Central Board of Secondary Education (CBSE) prescribes the curricula based on NCERT textbooks. The Board has also approved the project based learning in contexts of the North East States, Value Education Kit for creating awareness and sensitivity regarding North East students, Heritage India Quiz based upon the rich heritage of the North East and Science Exhibition focused in and around the situation particular to North Eastern Region like Bio-diversity. (II) Students from the other parts of the country to spend some time in the North East so as to understand and appreciate culture of the area. Besides, regular cultural exchange between institutions in the North East and other areas be built in higher education system in the universities. The North East Zone Cultural Centre, an autonomous body of the Ministry of Culture also organizes various programmes under its scheme namely, National Cultural Exchange Programme (NCEP) for awareness about the culture of the North Eastern Region. A section of Media has given a distorted impression that schools have been asked to remain open on 25th December, 2014. 1. This is to clarify that CBSE has not directed any school to remain open on 25th December, 2014. All schools will follow their vacation schedule including vacation /holiday on 25th December as specifically clarified by CBSE. 2. The proposed instructions of the CBSE are to conduct an online essay competition on 24th and 25th December 2014 which is completely voluntary. CBSE has neither issued any circular on its website nor issued any instruction to any school for remaining open on 25th December 2014. 3. Even the CBSE as an office will remain closed as a public holiday on 25th December on account of Christmas Day. For the event of online essay competitions on that day, no official of CBSE is required to come to office for specifically conducting essay competition as the essays will be received online through the specified time schedule. 4. This online essay competition is completely voluntary and the students if they so desire can participate from their homes or any other place which provides online access. There is no requirement for any school to remain open on that day and the school vacations will be adhered to. 5. Navodaya Schools are residential schools. As the vacation pattern in JNVs depend on climatic conditions, the 25th of December 2014 will be celebrated in those schools which do not have any winter break. In such schools, since it is a public holiday on 25th December, the schools will also remain closed that day as no classes would be held. As a residential school, however, the school functions as children continue to remain there and these children will have the opportunity to participate if they so wish in the essay competition. Navodaya Vidyalaya Samiti has clarified that no other activities for this competition are being held except the opportunity to submit their essays online voluntarily. 6. Kendriya Vidyalayas are observing vacations during that period and hence all Kendriya Vidyalayas will remain closed. Students of Kendriya Vidyalayas if they so desire can participate voluntarily in the online essay competition from their homes or any other place. Kendriya Vidyalaya has not given any directions for the schools to remain open during the vacations. 7. In view of this, no child or student will be deprived of celebrating the holidays or vacations or participating in their own festivals and religious festivals whole heartedly. 8. No instructions have been issued to State Governments. No clarification was sought by the reporter from the Secretary, School Education before going to Press.